A Thought: The Last Supper. On His way to His arrest, trial, and sentencing not for His sins, but of the world, Jesus taught the disciples a lesson that makes a person great: humble service to others rather than self. 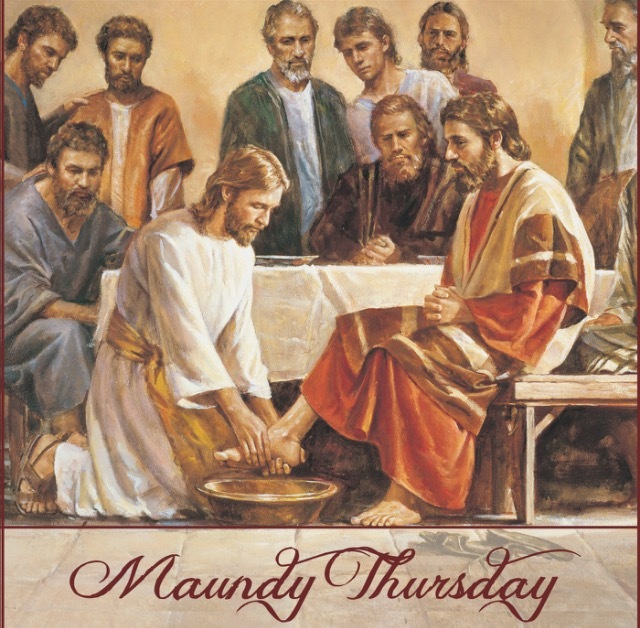 He washed the disciples’ feet, an act just reserved for servants, not the revered Teacher and Leader they had followed for three years. Then, He served as Host offering the meal representing His coming sacrifice. They did not comprehend any of this. Indeed…that kind of unconditional love Jesus has for you and me is not easily understood. That’s why it is called “amazing” grace!